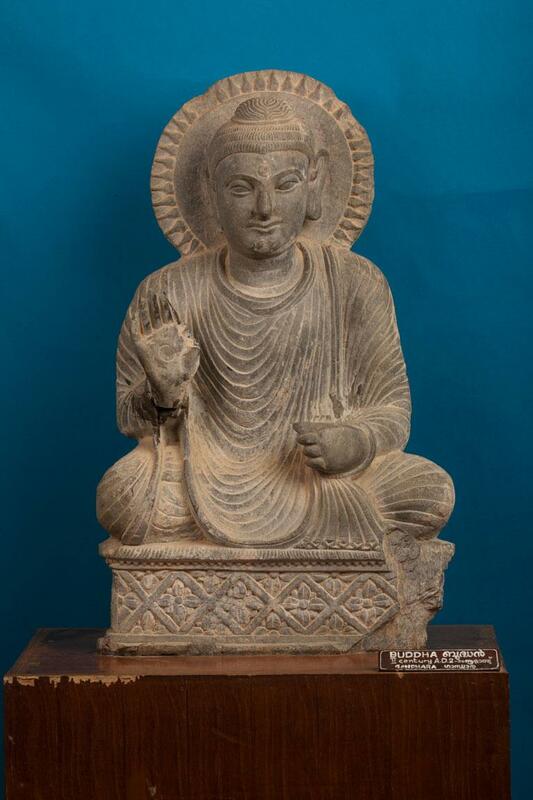 This is a stone sculpture of seated saint Buddha in Vyakarna Mudra. Nimbus appears behind Buddha. Divyaparivesham or Prabhaparivesham is clearly visible.